Low-cost-rx.com was a website that closed down in 2017. It was seized by the US government after teaming up with various agencies worldwide. The seize order was visible on the page of Low-cost-rx.com. Apparently, even the pages saved on the web archive were replaced by the seize order leaving us with no information to use for this review. Based on the information we gathered from web archives, this e-dispensary sold generic medicines at a very low price. They also had fully trained and certified health professionals working for them, ready to answer their customers’ queries. They also offered refund policies that were favorable to their customers. Low-cost-rx.com had a wide range of offered products. They offered over the counter and Rx medications. According to their page, they did not require their customers to present a prescription when ordering Rx medications. Among their offered medicines were drugs for asthma, eye care, diabetes, high cholesterol, high blood pressure, erectile dysfunction, mental disorder, migraine, pain, inflammation, and depression. They also offered common medicines such as birth control pills, weight loss pills, and for hair loss. All medicines sold at this e-store were said to be FDA approved. There is one mode of payment accepted at this e-store and that was with a credit card. They ship across the world with some countries in Asia for an exception. For deliveries, customers can opt to have it via Express International Mail and get it within 9 days for $30. Customers can also opt to have it for a cheaper $10 via Standard International Airmail and wait for it for 21 days. To reach the support team of low-cost-rx, the best number to dial are 800 532 4080, 718 313 1498, and 203 011 024. Their team can be reached via their contact us page as well. Based on the seize order we found on their page, it looks like the US government and Europol identified low-cost-rx.com as one of those online pharmacies that are selling counterfeit products. The goal of Europol and the US government thru their project Operation in Our Sites-Project TransAtlantic VIII is to eliminate risky web stores that offer counterfeit goods especially medicines. There is a rumor that this operation is actually a way for big drug companies to have their control back in the drug market. Since online pharmacies started proliferating the internet, sales of branded medicines have dwindled while sales of generic medicines rose. With the website being down and the banner of Operation in Our Sites-Project TransAtlantic VIII showing its seize order, we are unable to find old customer feedback for Low-cost-rx.com. We tried to search from third-party review websites but found none. Luckily, their own testimonial page was still available on the web archive. The first customer review we found was from Dave who answered a survey and turns it into his review. He said he was impressed with the delivery of his order and how it met his expectations. David said he was happy with his purchased drug and how it was delivered to him. For the next review from Steve, Steve shared that he ordered generic Viagra and that he finds it very affordable. He said it made him more confident. The last review was shared by Kieran who wanted to express his gratitude to the helpful team of low-cost-rx. He said he will be recommending this e-store from now on. We have seen so many reviews from customers with the same thoughts as Kieran, Steve, and Dave. These testimonials were actually not the first time for us to see and we have seen it on other web stores too. 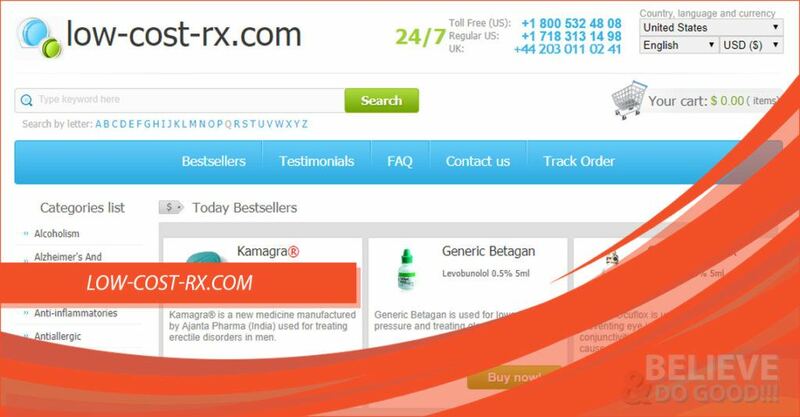 If the pharmacy is not a part of an affiliate pharmacies chain where all the websites look the same and just process the orders via its main center, then we strongly believe that these might be fake. This could be another reason why this e-dispensary was closed down by the US government. Low-cost-rx.com was closed down sometime in 2017. For this reason, they no longer have customer reviews for 2018. In fact, we are unable to find older customer feedback hence we are not expecting newer ones. There is no information regarding coupon codes or promotions that Low-cost-rx.com might have released during their operation. 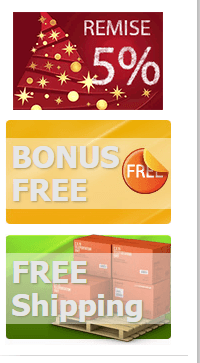 what they offered were promotions that will surely win new and old customers. One of their offered perks was free shipping. They also offered free pills on all orders and a 5% discount to all returning customers or reorders.